Every spring I am shocked how many people spend money to create a toxic environment to have boring lawns. 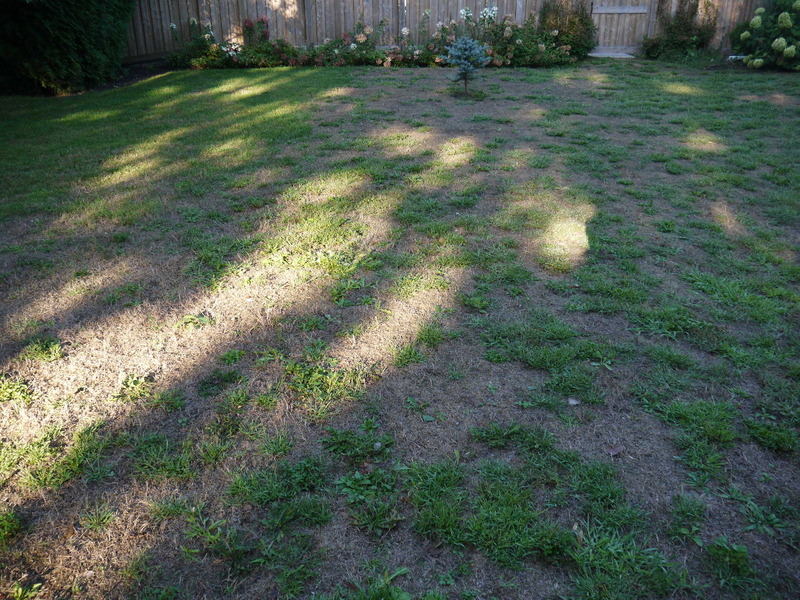 A toxic envirenment made of glyphosate, fertilizer and weekly grass cutting creates this completely artificial lawn. 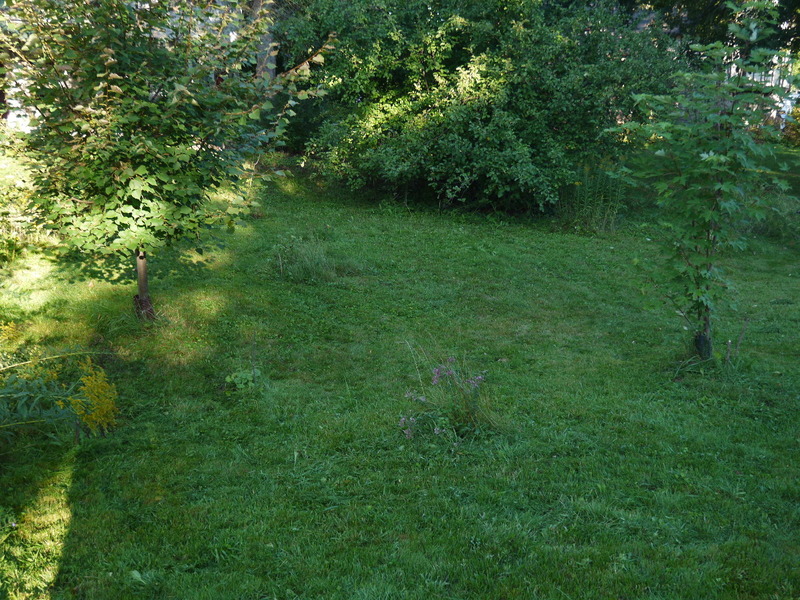 I love my lawn when it's in full bloom and I still don't understand how people want to have a boring green only lawn. Divers, colorful, healthy and very strong. 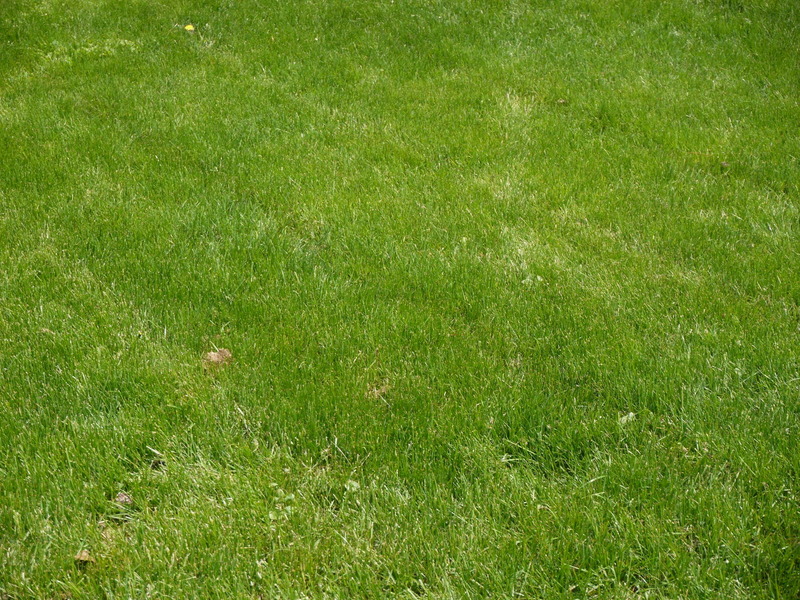 You can walk over this lawn without any noticeable damage. 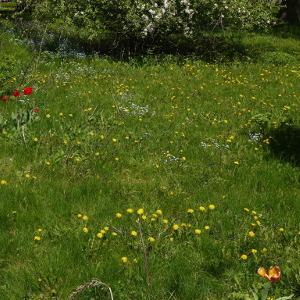 Bees can create healthy wild flower honey from such a lawn and it gives them the food they need after a long winter. I have recently asked some young children which kind of garden they liked more. 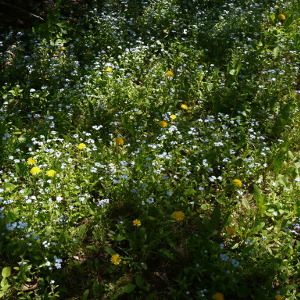 Pure grass or a lawn with flowers. 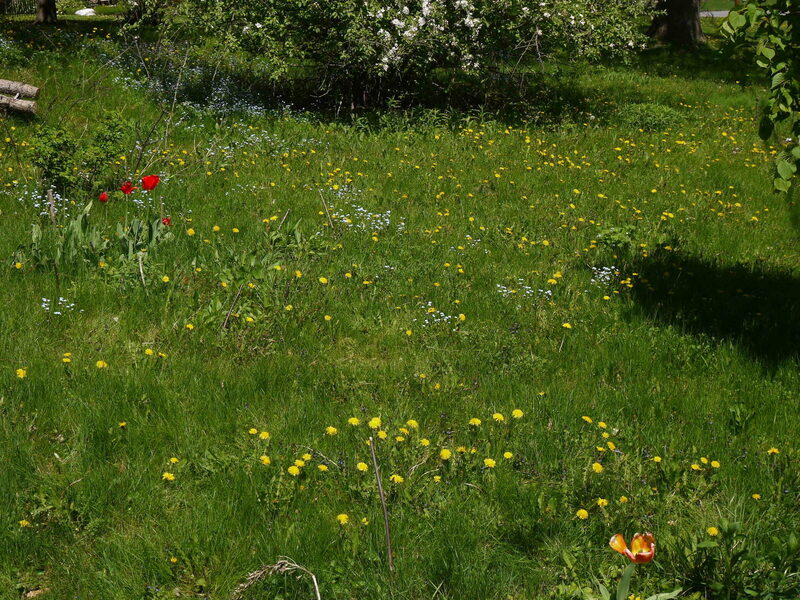 All agreed that the colorful lawns with flowers are more beautiful. To me this is a clear indication that the marketing of big chemical companies is working. While growing up we learn over time how a garden must look like. Pictures in magazines and advertisement influence us over time such that we finally want to buy these products that create a totally artificial environment. Glyphosate, which is needed to create very pure grass only laws, is suspected to be a contributor to allergies. Tiny amounts of Glyphosate cause already severe damage to the gut Biome of animals and humans alike. This is where we let toddlers play. People pay for the chemicals to create this "green garden" and then they pay for the medication to remedy a life long allergy that might have started in early childhood. Crazy, isn't it? 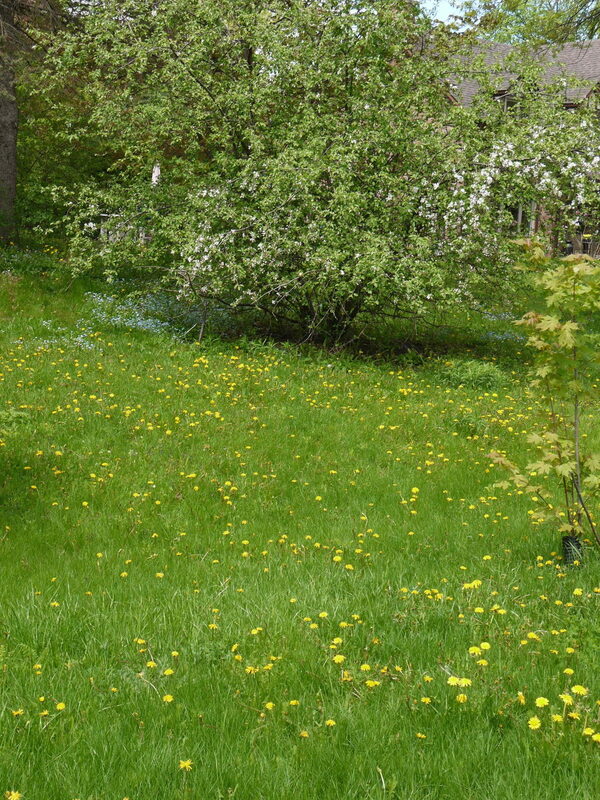 A natural lawn is more robust, not easily damaged, healthier and cheaper. One would think that it is an obvious decision what kind of lawn people would choose... no. 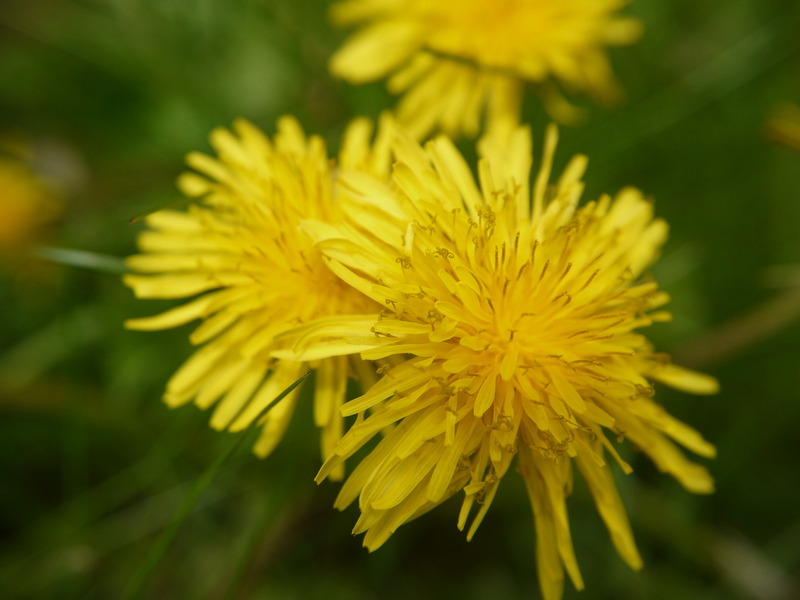 Did you know that dandelion leave are edible with a number of health benefits? Dandelion root makes a good tea. Yet there are entire towns in Canada where dandelions are banned from front yards. Crazy. Let's stop the madness and allow your law to be natural and beautiful. You can still keep it short if you want to. 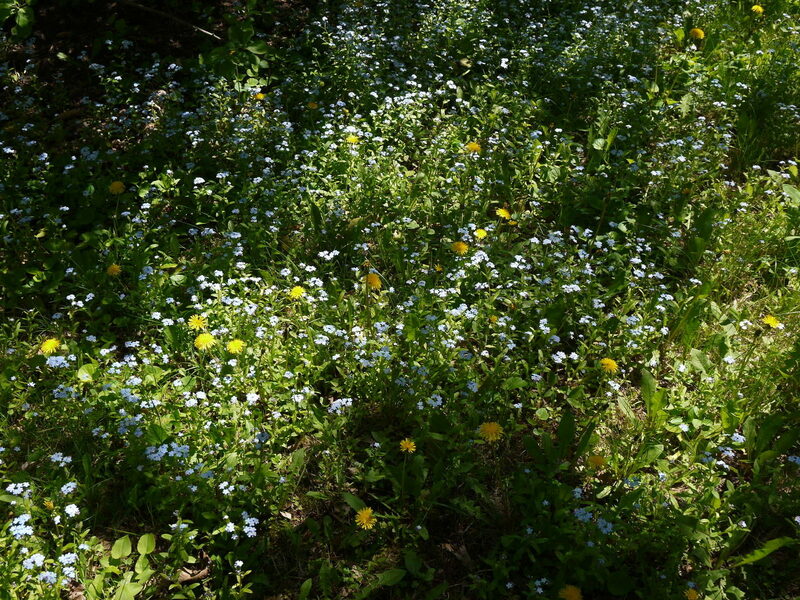 It will allow short flowers such as wild strawberries, violets and early snow glories to grow. Don't put poison into your garden. It will eventually hit you back. We are all part of nature. We are not outside of it or above it. 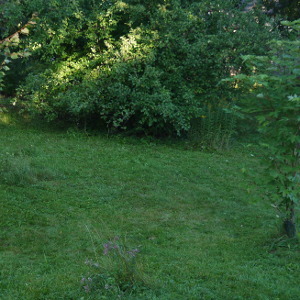 September: two lawns after a hot summer: 1) a lawn keept alive by money and chemistry, 2) a completely natural lawn (the same dandelion lawn you see further up). None of the two have a sprinkler system. Many inexperienced gardeners focus too much on the plants they do not want to have. This is a battle that you will loose even when armed with the most dangerous chemicals. Use instead a different strategy: support the plants that you like and they will automatically dominate. They will not eliminate the others completely but they will be the majority. This is how nature works. Eastern Canada has slightly acidic soils. Pollution and acid rain where a big problem in the 1980's and 1990's. It's much better now but to this date you can measure a slightly low pH in rain water. Most soils in eastern Canada do not contain much limestone which acts as a natural buffer. To add a bit of "dolomitic lime" is very beneficial to healthy soil. You can buy a bag of "dolomitic lime" in most garden centers. These are crushed rock pieces of limestone. It mainly calcium magnesium carbonate. Dolomitic lime adds magnesium and calcium to the soil and it acts as a pH buffer. Many soils contain limestone naturally but the soil here in Canada contains too little. However don't put too much. 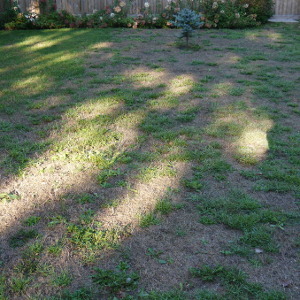 Stop after a few years when you feel that the soil is now supporting the growth of healthy grass. 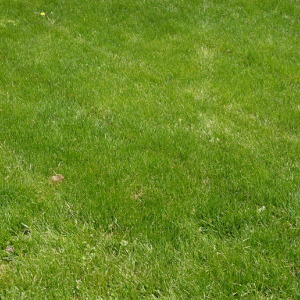 throw some dolomitic lime stone onto your lawn in fall (don't put too much, stop after a few years). 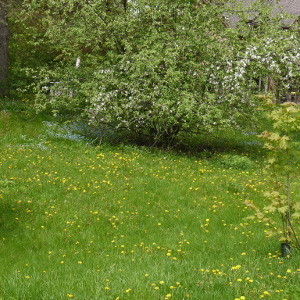 over seed with a mixture of clover and grass in spring (clover and grass form a mutual beneficial partnership). It will take time to build a good and healthy soil but it's sustainable and much easier to maintain in the long run.